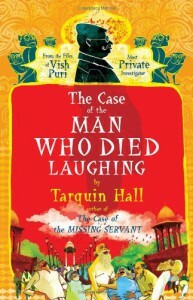 This book was a very enjoyable read, the 2nd in the Vish Puri mystery series by Tarquin Hall. Having read the first book, "The Case of the Missing Servant", I queued up this book from the library as soon as I could. In this 2nd book, a scientist who makes a living by exposing famous gurus and "god men" for their deceit and manipulation of their followers is murdered in full daylight by an apparent manifestation of Kali. Who did it, and how they did it, or if they did it all becomes the basic backbone plot for the book. Side interests include a secondary investigation going on led by Vish Puri's Mummy and his wife, and glimpses into daily Punjabi Hindi life -- the baby shower held for Vish Puri's expecting daughter, the cremation and burial ceremony of the slain scientist.I enjoyed this book as much as the first, but had my interest piqued because it reminded me of another book I read years ago, "Avatar of Night" by Tal Brooke, which is not fiction. 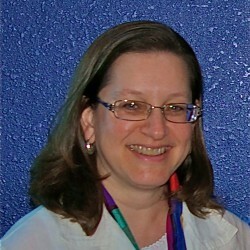 See http://www.amazon.com/Avatar-Night-Special-Millennial-Brooke/dp/193004500X/ref=sr_1_3?s=books&ie=UTF8&qid=1295994490&sr=1-3I will have to find this book and re-read it, because it describes in detail the inner circle of the Hindu "godman" Sai Baba and his manipulations and deceptions. I wonder if Tarquin Hall used Sai Baba as the basis for his godman/ guru character?